As all veteran police officers will agree, the job of being a law enforcement officer is challenging and dangerous. But many will tell you that the stresses of the job are easily accepted by those who chose to wear the uniform and badge. All police officers bravely face daily the possibility of their own death on the job and also the possibility that they might need to use lethal force against another. Many who have served in law enforcement will tell you that the stresses inherent to the job are not as problematic as stresses from within their own personal lives or the stress of having a conflict with your boss. Police officers are trained how to use force but also taught how to restrain from using force, how to negotiate, how to de-escalate a hostile situation. These “peace keeping” skills are very important to the officer’s survival on the job and also to his/her effectiveness. When officers are confronted with a hostile situation, they immediately have a human biological response – an increase in epinephrine/cortisol. This blood hormone, Cortisol, readies the body to respond if the situation becomes more dangerous and needs immediate action. But at the same time, the officer's higher reasoning cognitive centers in the brain, are trying to control his/her base instincts of survival and also his/her own inherent emotional response to the event unfolding before them. To be a good well trained and properly behaved police officer – this cognitive control of the emotions is essential. Otherwise the officer might get “carried away” and use excessive force or alternatively not control his own fear and thus be unable to pursue the suspect. Life happens, even to those who are charged with the duty to protect and serve. The story of New Jersey Police Officer Edward Lutes is one to educate us all of the perils of the hazardous duty of a police officer and the inescapable fact that we are all human even those who protect and serve. Those who knew Officer Lutes professionally, described him as a fine patrol officer. So what happened on an evening in April 2002 surprised everyone in the Seaside Heights community. Officer Lutes went on a shooting spree, killing several people before shooting himself fatally. What made a good officer snap? As with all human tragedies, the truth was a complicated matter, with both personal tragedy and also deeper societal problems involved. When the story finally unfolded, it became evident that Officer Lutes had suffered many losses.In 1991 Officer Lutes’ mother died of cancer at age 54. In March 1999, one of Officer Lutes' neighbors, Dominick Galliano was charged with sexually assaulting the officer's young daughter. Dominick Galliano was acquitted of the assault charges in January 2001. Lutes had been recently bereaved by his fiancee's death a year before in a car accident. Those who knew Officer Lutes said that this series of personal events had left Officer Lutes mildly depressed and also without the emotional support of his beloved fiancee. So the officer, sought professional help and was prescribed the drug Luvox for depression. Luvox(Fluvoxamine) had a FDA black box warning label stating that it can cause violent behavior and suicide, yet it was given to this officer for his depression. On that fateful day in 2002 Officer Lutes fatally shot the man accused of sexually assaulting his daughter. Dominick Galliano, 51, wife Gail Galliano, 49, and their son, Christopher Galliano, 25 were all shot multiple times. Then after shooting the Gallianos, Lutes then walked across the street and shot Gary Williams, who had testified on behalf of Dominick Galliano at his trial. Lutes, not only killed Williams, 48, but also his wife, Tina Williams, 46. The Williams' 23-year-old son survived, by jumping out a back window and alerting the police. Officer Lutes got in his car and drove 20 miles to the home of his police chief, James Costello, whom he shot and wounded before leaving and killing himself. The day that Officer Lutes went out and shot 5 people, he was being medicated with the anti-depressant medication – Luvox. The drug Luvox did not “cure” Officer Lutes’ depression. The effect of the drug on Officer Lutes could have been anticipated because there had been numerous reports of violent behavior of patients using the drug Luvox reported to the Food and Drug Administration. The US Food and Drug administration had issued a black box warning about the possibility of violent thoughts and behavior including suicide. The drug Luvox, like other psychiatric drugs has clear effects on brain function. Psychiatric drugs including neuroleptic and atypical anti-psychotic medications block receptors in the brain and cause a decrease the flow of dopamine – a neurotransmitter. Most importantly these medications cause a decrease in the cognitive abilities of the patient – thus affecting the higher centers of the brain involved in reasoning and behavioral control. When a police officer is under stress, there is an increase in cortisol in the blood stream. During a life or death experience, or a life altering tragedy, this powerful blood borne hormone allows the body to respond quickly to danger. Police Officers and those who deal daily with stressful situations at work, quickly learn how to manage their own responses to the rapid increase of cortisol. Often during a particular event, the officer will suspend his own feelings and instead act in the moment. Rapid responses allow the officer to respond to danger quickly and efficiently. But after the event is over, he must go home and find some way to relax. This may prove difficult because not all events in an officer’s life are easy to forget – some sights, sounds, smells and feelings persist even during the sleep cycle. Thus it is not unusual for officers to use alcohol to drown the painful memories or to utilize prescription medications like sleep aids. But the use of medications like Luvox for this purpose must be re-examined. Drugs like Luvox cause a rise in blood cortisol thus causing the period of heightened response to be longer. One side effect is racing thoughts, restlessness, and agitation this can lead to violent thoughts and actions. Because these medications slow down the ability of the upper levels of the brain to do cognitive reasoning, the patient can’t think clearly and can’t use reason to over-ride basic human emotions. Thus human emotions of fear, anger, revenge, frustration, are not moderated by the higher reasoning portions of the brain and thus actions can occur without reasoned control. This functional lack of inhibition by the higher brain centers means lack of control over one’s actions. For a police officer, trained to use lethal force, dealing with multiple personal traumas and with anger at the system that failed in his eyes to protect his daughter from sexual harm, the use of a drug like Luvox was lethal – not just to Officer Lutes but those around him. We need to carefully re-consider that the use of these medications especially those known to cause violent behavior. These medications are given much too quickly and with too little consideration for the side effects. They should instead be used only in extreme psychiatric situations that can be managed no other way, rather than how they are now prescribed for mild depression and described as “safe.” The risk of violence caused by these drugs is great - leading to tragedies like this shooting spree but also domestic violence, violent crime and many suicides. The efficacy of psychiatric drugs is complicated by a number of serious side effects which are associated with their use. These include a number of muscular side effects known as extra-pyramidal reactions: dystonia (muscle spasms, particularly in the face and arms, irregular flexing, writhing or grimacing and protrusion of the tongue); akathesia (internal restlessness or agitation, an inability to sit still); akinesia (physical immobility and lack of spontaneity); and Parkinsonisms (mask-like facial expression, drooling, muscle stiffness, tremors, shuffling gait). The drugs can also cause a number of non-muscular side effects, such as blurred vision, dry mouth and throat, weight gain, dizziness, fainting depression, low blood pressure and, less frequently, cardiovascular changes and, on occasion, sudden death. Tardive dyskinesia is a very serious and potentially lethal side effect of anti-psychotic drugs. Tardive dyskinesia is a generally irreversible neurological disorder characterized by involuntary rhythmic and grotesque movement of the face, mouth, tongue, and jaw. 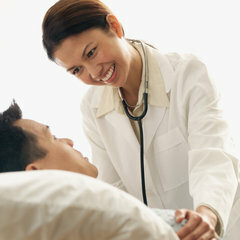 The patient's extremities, neck, back and torso can also, become involved. These psychiatric medications have significant and often unpredictable short term and long term risks of harmful side effects." Officer Edward Lutes' case was joined with the case of Mark Taylor, the Columbine shooting victim in a case against Solvay Pharmaceuticals. Solvay Pharmaceuticals continued to market the drug Luvox even after the FDA demanded that a black box warning label be placed on their product. Luvox was sold by Solvay to another pharmaceutical company and re-named and still sold even after several mass shooting tragedies. These psychiatric medications with this black box warning label about violent behavior, continue to be sold to countless patients - some of whom are police officers. Food and Drug Administration's (FDA) MedWatch Adverse Event Reporting program online [at http://www.fda.gov/Safety/MedWatch] or by phone [1-800-332-1088].